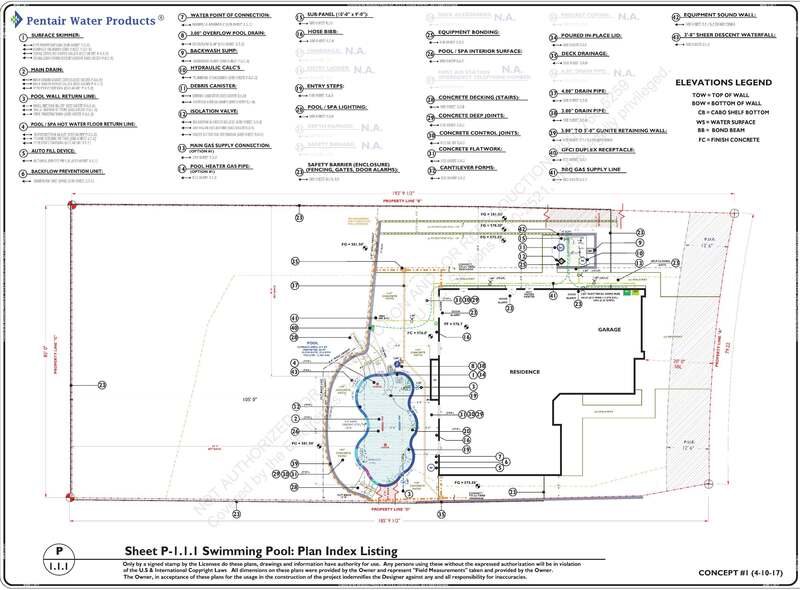 The plan sheet below exhibits the DIMENSION and FEATURE referencing in providing further descriptions of the proposed swimming pool and waterfall layout. After reviewing this information you may provide us with your comments on the form provided at the bottom of this web-page. 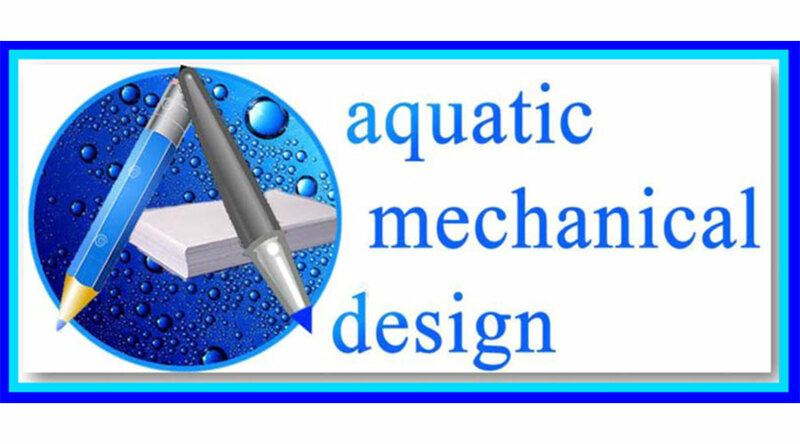 We have listed some additional design elements for your consideration. Please realize that these are not necessary for submitting for a building permit and therefore were not made part of the Original Design Work Scope but, several of these items may allow you to maintain a much tighter control over your specifications when delegating the task at hand to the many different trade specific performers. These considerations now represent thirty five (35) Plan Listing Design Elements of which the broader considerations can be added at an additional cost, if desired. Many of these could be most helpful in getting your project constructed to a 1st class standard but, will require additional planning sheets beyond the original eight (8) plan sheets that had been made inclusive. In the process of developing your P-1.1.1 Pool Plan Index Listing, it is our sincere desire to make you aware of all exhibits that are available to you! Please provide an explanation for any special engineering requirements. Also...structural engineering consideration will need to have the compliment of a current (within 2-years) soils report and a property plot plan and topographical survey forwarded to us in a pdf.file format. In some case we are requested to produce information that will require the investment of overtime hours, which we are willing and able to perform. In such cases we must apply an up-charge in order to cover our additional expenses.